This is a very good product for helping cut fat while retaining muscle mass. I used this product for 60 days and lost 8 pounds of fat while maintaining all of my lean mass. I took three caps in the morning and two caps before working out. In the morning I noticed a nice surplus of energy and alertness WITHOUT any jittery, light-headed feelings. Using it pre-workout, I found that I had great energy, enthusiasm and focus in the gym. 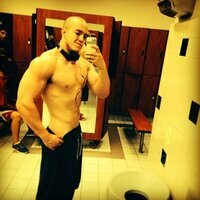 I also experienced better pumps and endurance than while not taking any supplements. Overall, I would highly recommend this product to anyone looking to retain their lean mass while cutting and increase their performance in the gym. It truly is a great product! I recently logged this product, and i can say without cardio/lifting i was able to drop 18 lbs within 2 months of using this! The profile is amazing and it makes for a great pre-workout fatburner because of the energy and its ingredients for a solid pump in the gym. I have been on Max Cuts for aprox. a month. It works well when you take the recommended abound daily. For a couple days I took less than recommended and I noticed the difference. I definitely recommend this product. Kola Nut Extract (Cola nitida) (35% Caffeine), Cinnulin PF® (bark) (Cinnamonum burmanii), ForsLean® (Coleus forskohlii) (root) (standardized to 15% forskohlii), White Willow Bark Extract 10% (Salix alba), Green Tea 50% Extract (leaf) (Camelia sinensis), Guarana Seed Extract (Paullinia cupana) (22% Caffeine), Gotu Kola Extract (herb) (Centella asiatica), Mustard Seed Powder (Sinapis alba), Astragalus Extract (root) (Astragalus membranaceus) (0.5% Astragalosides). 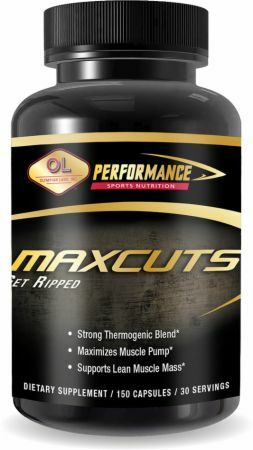 Directions For MaxCuts: As a dietary supplement, take three (3) capsules in the morning and two (2) capsules at lunch with a full glass of water, or as directed by a healthcare professional. Warnings: Consult your healthcare professional before using this product if you are pregnant, nursing, under 18, or have a medical condition, or are taking medication, if you are at risk or have been treated for or diagnosed with high blood pressure, heart disease, thyroid disease, depression or other psychiatric conditions, renal disease, recurring headaches, spasms, have asthma or are taking asthma medications or if you are taking Monoamine Oxidase (MAO) Inhibitors. Discontinue use if allergic reaction occurs. Do not use if you have an allergy to or are sensitive to salicylates. The recommended dosage of this product is equivalent to 1 cup of coffee. KEEP OUT OF REACH OF CHILDREN. STORE IN A COOL, DRY PLACE.